DULUTH, Georgia (May 18, 2017)- The new Veterinary Feed Directive rule has reminded the dairy industry to take a step back and ensure antibiotics are always being used in a judicious manner for animal treatment. The cow’s response to infection is inflammation, which, for mild and moderate mastitis, is abnormal milk and a swollen udder. The typical inflammatory response lasts for about five days. When using a short duration treatment, the milk still may look abnormal on day two, three or four, which may concern some producers and veterinarians. However, producers should follow label directions and be patient for the next two to four days to allow inflammation to resolve, before deciding to extend or change treatment. Mark Rodgers, a dairy producer at Hillcrest Farms Inc., near Dearing, Georgia, milks 380 cows. He has achieved a herd somatic cell count under 180,000 by being very conscientious of mastitis. When abnormal milk is found, Dr. Tikofsky recommends producers take a sample of the milk for culture, label it with the cow’s ID, quarter and date, and place it in the freezer. Then, if the cow is not responding the way she should or relapses, the frozen sample can be sent for diagnostic testing to identify the pathogen. Short-duration therapy is effective and economical. It gets cows back into the milking string and their milk back in the saleable tank much quicker than using extended therapy. 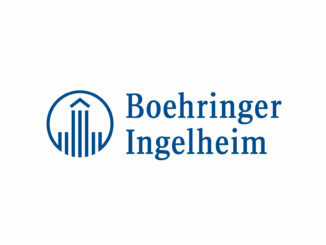 Boehringer Ingelheim is dedicated to helping the dairy industry reduce its overall antibiotic use and are inviting dairy producers and veterinarians to join them in taking a pledge specifically when it comes to treating mastitis. To learn more or take the pledge yourself, click here. 1Vasquez AK, Nydam DV, Capel MB, et al. Randomized non-inferiority trial comparing two commercial intramammary antibiotics for the treatment of non-severe clinical mastitis in dairy cows. J Dairy Sci. 2016 in press.